► Students sign up in the shop. 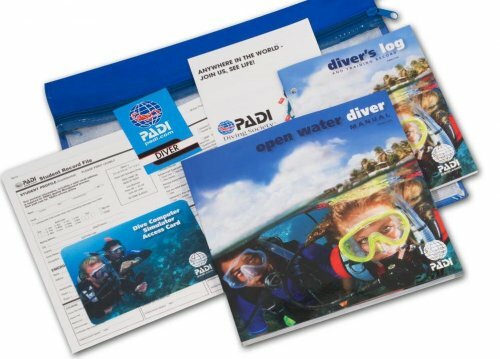 At this time, students receive their student pack and Open Water Diver book. ► When signing up in the shop, this is also a great time to purchase any snorkeling gear (mask, snorkel, boots, and fins) needed for the course. All scuba gear is included in the course but students are responsible for their own snorkeling gear. ► Students complete all chapter Knowledge Reviews and watch the DVD in their own time before the classroom session. ► Students must attend a traditional classroom and orientation session to review certain concepts, take the final exam, turn in paperwork, and be fitted for scuba gear. ► After turning in all paperwork and passing their academics, students are ready to begin in-water training! ► Students sign up in the shop. At this time, students receive their student pack and get the code to begin online training. ► Students redeem their eLearning code online and complete the course online before the orientation session. 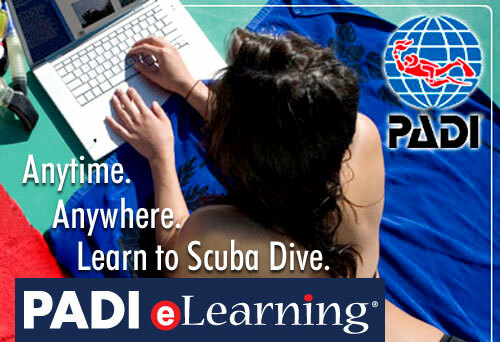 ► Students must attend a short orientation to take a short final exam, turn in paperwork, and be fitted for scuba gear. Submit this form if you would like a Scuba Shack Team Member to follow up with you about the PADI Open Water Diver course. Do you have any questions about learning to dive that you would like us to address in our follow up? "The Way Nashville Learns to Dive"